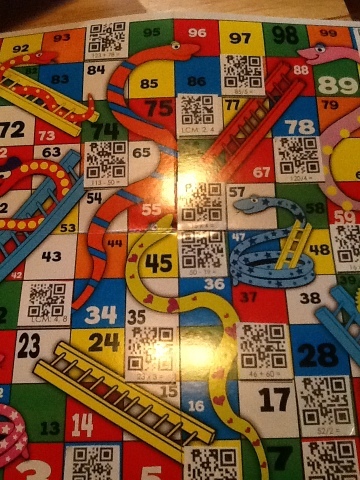 iTeach with iPads: Qr code fun! She has wonderful items for free and purchase. I was able to find checker boards at Dollar Tree. (yes, they are only poster board cheap material, but for a dollar they are perfect!) 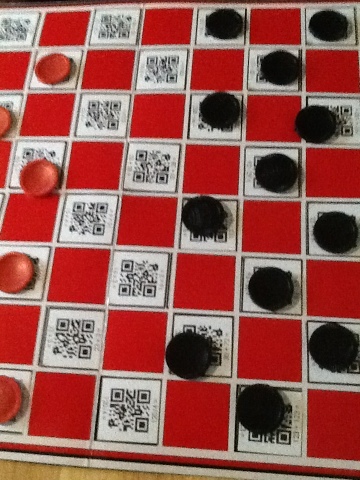 I printed the Qr codes on full sheet labels, cut apart and stuck them to the checker board. Kids have to get the math problem correct to stay on the square. Their partner scans the Qr code to see if it is correct. Trying it in class Monday!